In May, 2012 I warned the public that draconian new laws which had taken effect in America placed the traditional neutrality of explorers at risk. The article then went on to pose these pertinent questions. What are the implications for explorers who wish to visit countries rocked by political instability, i.e. Afghanistan, Burma, Eritrea, Kashmir, Mali, Somalia, Syria, Tibet, Yemen, just to name a few? Could a chance conversation between an explorer and a political activist result in statements being voiced which, being in opposition to official American foreign policy, carry an automatic condemnation for the traveller? Could explorers become victims of political entrapment? If an explorer is, by default, “caught” talking to people who are politically sympathetic to Al Qaida, are the exploration organizations which support his journey also culpable of “supporting terrorism”? In the intervening months concerns about the on-going erosion of citizens’ basic rights, including the constitutionally protected right to privacy, have continued to dominate the headlines. Newspapers have now revealed how the US government uses a secret intelligence programme called Prism to systematically intercept more than 1.7 billion messages a day from American citizens. Foreign governments, companies, universities and millions of overseas citizens are also believed to have had their privacy systematically invaded by the use of the Prism programme. Dictators are not dumb. They read history books too. That’s why they know that there are a number of steps to be taken when one wants to assume total control; critical steps include declaring martial law, seizing control of the media, arresting opponents, spying on citizens and restricting travel. A glance at Long Rider history will provide alarming examples of how tyrants crush travel, along with a citizen’s other rights. Throughout history totalitarian regimes have realized that horses presented a potent political threat. A tyrannical system is designed to keep people close to home, where they can be kept under tight social, political and geographic control. Horses threaten to undermine this oppression. People who can ride might travel without permission. Riding might encourage the growth of resistance. Rebellion might be spread via the saddle. Oliver Cromwell certainly understood this. After he conquered Ireland in the 17th century, he quickly passed a law forbidding Irishmen to own a horse valued at more than 5 pounds. This instantly destroyed any hope of a mounted opposition or of travel. Stalin was no friend of horses. After seizing control of all private farmland, his ambitious goal was to create an enormous agricultural collective. The first step was to confiscate every animal larger than a chicken. Horses were no exception. They were forcibly taken from the people and placed into state-controlled farms. In 1928 he passed a law making it illegal for private individuals to own a horse. Joseph Stalin would not have approved of the 1984 film "Red Dawn," a Cold War tale that depicted Soviet, Nicaraguan, and Cuban paratroopers invading the United States. 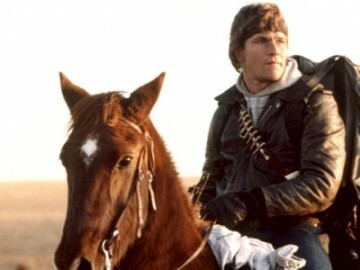 Resistance quickly spread, thanks to a group of armed teenagers, led by political rebel Patrick Swayze, who fled into the Rocky Mountains on horseback to escape capture and lead a mounted rebellion. Nor were other dictators slow to follow this lesson. Enver Hoxha made it illegal for Albanians to own and ride horses. More recently, the Iranian government passed a law forbidding Kurds to own and ride horses. This blueprint for control has been used time and again, only now it’s not your horse they are determined to take away. It’s your plane ticket. There were only 16 names on the No Fly List on September 11, 2001. Today the FBI and the United States government's Terrorist Screening Center (TSC) admit that the list contains at least 10,000 names. However the American Civil Liberties Union estimates that the list has grown to include more than a million names and is still continually expanding. The latest disclosure of the Prism spying programme should send a chill down the spine of every explorer and traveller, as this insidious network is undoubtedly being used, without your knowledge or consent, to make judgments which may affect your future travels and/or place you on a No Fly List. The American government currently maintains travel restrictions to Cuba, Libya, Iraq and North Korea. A debate has long raged over the constitutionality of limiting an American citizen’s right to travel in this way. But there is no secret about this long-standing law. Yet that’s not how the No Fly List operates. Citizens are not informed that their travel plans have been restricted. They normally discover this when they attempt to check in at the airport. Because there are so many names on the No Fly List, mistakes are bound to be made. For example, because the name “T. Kennedy” had once been used as an alias by a suspected terrorist, Senator Ted Kennedy was repeatedly delayed at airports. The famed lawmaker spent three weeks directly appealing to Homeland Security Secretary Tom Ridge before the mistake was corrected. Kennedy realized that his position and power as a senator provided him with extraordinary access to the US government. But he worried how ordinary citizens would resolve such a bureaucratic entanglement. "How are they going to be able to get to be treated fairly and not have their rights abused?" Kennedy told the press. 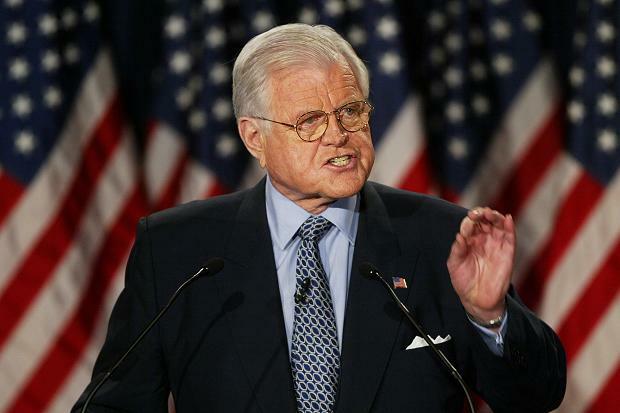 Senator Ted Kennedy expressed grave concerns over the erosion of American citizens’ rights to travel without being intimidated or persecuted by federal authorities. The answer is, they’re not. In my previous article I proposed that even visiting “suspect” countries might result in a citizen being targeted by an antagonistic American government. Such a scenario occurred when a U.S. citizen, who had been studying in Yemen, was prohibited from returning to the United States. Having been placed on the No Fly List, he attempted to re-enter the country via Mexico. When American border officials refused him entry, the Mexican authorities deported the American student back to Columbia, where the flight had originated. Nor are foreign nationals exempt from airborne persecution. Former pop singer Cat Stevens (who converted to Islam and changed his name to "Yusuf Islam" in 1978) was denied entry into the United States in 2004 because his name appeared, without warning, on the No Fly List. Even being on the wrong plane can cause you trouble. In 2009 the American government refused to allow an Air France flight, bound from Paris to Mexico, to enter U.S. airspace. Why? Because a Columbian journalist, whose name appeared on the No Fly List, was a passenger on the flight bound for Mexico. The European Union has expressed strong concern about these practices. And critics in America claim that these actions are a violation of the Privacy Act of 1974, which forbids the government to compile secret databases on U.S. citizens. But other governments, notably Canada, have now begun to compile their own No Fly List as well. The Canadian list is said to rely on data obtained from domestic and foreign intelligence sources, including the American No Fly List. It is believed to contain between 500 and 2,000 names. But there’s an inherent problem with that attitude. Explorers, like Long Riders, are often social dissidents. They don't like to be controlled. They are highly individualistic. They enjoy the freedom to roam at will. They aren’t afraid of speaking their mind. How does that sort of strong individualism fit alongside the latest revelations about the US Prism surveillance programme? Critics have already suggested that individual web histories or phone logs have been illegally searched by government agents bent on finding suspicious material that could be used to threaten the state's monopoly of power. Such actions, almost certainly illegal, are being defended by the idea that they are used to search out "terrorists." Yet once information on individuals has been illegally obtained, it might also be leaked to potential employers, insurance companies and local police departments. Would an authoritarian government use illegally obtained information to restrict a citizen’s right to travel? In 2008 the Washington Post discovered that Maryland State Police had classified 53 American citizens as terrorists and then secretly listed them on state and federal databases. A subsequent trial revealed that the citizens had been targeted because they opposed the Iraq war and the death penalty. Thanks to the power of the Prism spying network, we should assume that the American government has now stored evidence about the private lives of billions of human beings, including information about where each person lives, who their family and friends are, their personal actions, their religious beliefs, their sexual orientation, their political views – and their travel plans. If Cromwell and Stalin were smart enough to take our ancestors’ horses, how long will it be before an authoritarian government severely restricts the rights of their citizens to travel aboard, claiming that they pose a threat to the state if they are allowed to depart? The answer is, it’s already begun, as in 2011 the Chinese government took legal steps to prohibit citizens “who may endanger national security and interests” from leaving the country. There are extraordinary implications connected to the revelation of the Prism spy network. You might be tempted to conclude that you have nothing to hide without remembering what part of your life might be wrongly construed or deliberately misinterpreted by others. If your life, your emails, your secrets, your political views, your connections and your convictions have been scrutinized without your permission, then it may only be a matter of time before restrictions are placed upon your freedom, your future and your travels. 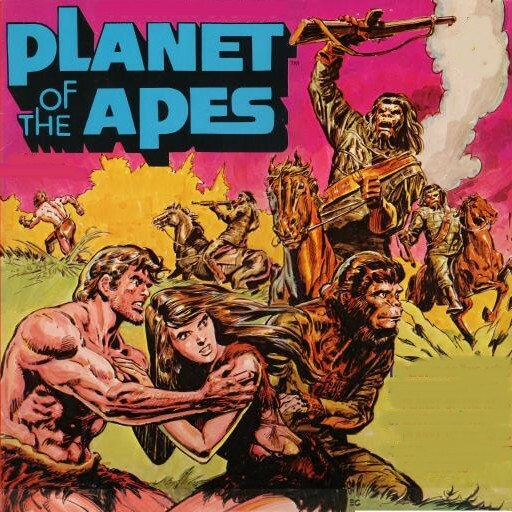 Popular culture reflects painful lessons from our political past, as the film series, “Planet of the Apes,” demonstrates. If a tyrant wants to subjugate, dominate and control a civilian population, they must be kept unarmed, on foot and under constant surveillance. Thus, as I predicted in 2012, authoritarian governments, equipped with unethical powers over our privacy and an ability to track our movements on the internet, pose the greatest threat to exploration and travel since the rise of the Soviet Union and its oppressed colonies. Nor am I the only traveller and journalist to note with alarm how the United States has threatened the rights of citizens. That quote was written by firebrand journalist Jack Reed in 1917, to express his alarm at the passing of the draconian Espionage Act which eroded the rights and privacy of American citizens. 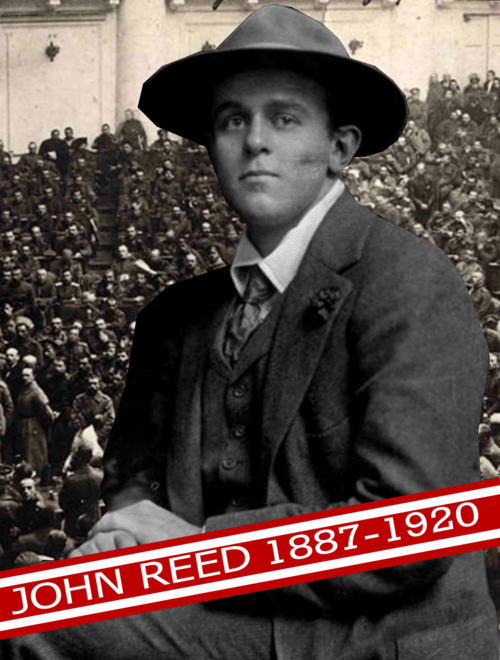 During his brief life, John Reed travelled to a number of countries including Mexico, Turkey, the Balkans, Europe and Russia. Considered the finest war correspondent of his day, Reed was also a champion of social justice who defended the weak, fought for social equality and risked his life to report the truth. Because his political views were considered treasonous by the American government, Reed was forbidden to travel in 1919, making him an early victim of the current "No Fly List" mentality which now dictates who can and cannot travel in and out of the United States. It is easy to misplace our priorities, to let the trivialities of daily life lull us into forgetting how vulnerable we are. 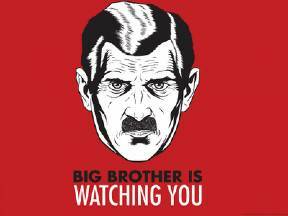 We must never forget that unless we stay alert and active, governments will become predatory, they will spy on us, they will deny us our freedoms and deprive us of our liberties – including our right to travel as, where and when we want. CuChullaine O’Reilly is the Founder of the Long Riders’ Guild, the world’s international association of equestrian explorers and a Fellow of the Royal Geographical Society and the Explorers’ Club. Author of "Khyber Knights, he is currently completing the “Encyclopaedia of Equestrian Exploration,” the most comprehensive equestrian exploration guide ever written. The Long Riders' Guild - Defending the ancient traditions of our nomadic equestrian past!